Commissioned text for the Journal of Modern Craft Online. Invited response to themes explored in the print issue of the journal volume 4 number 3, 2011  a special issue on Denim. 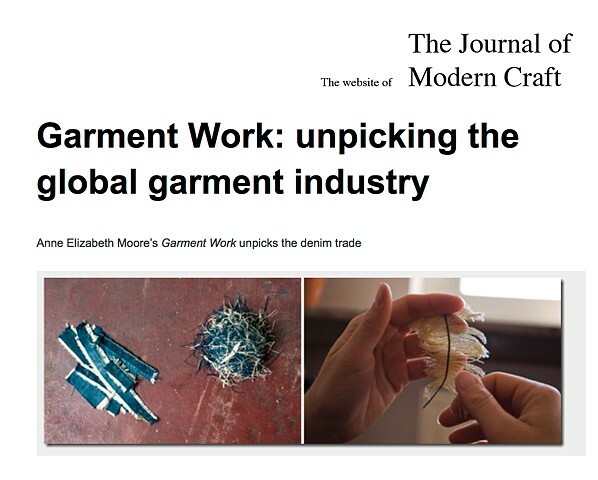 This short essay considers the project Garment Work by award winning journalist and artist Anne Elizabeth Moore.